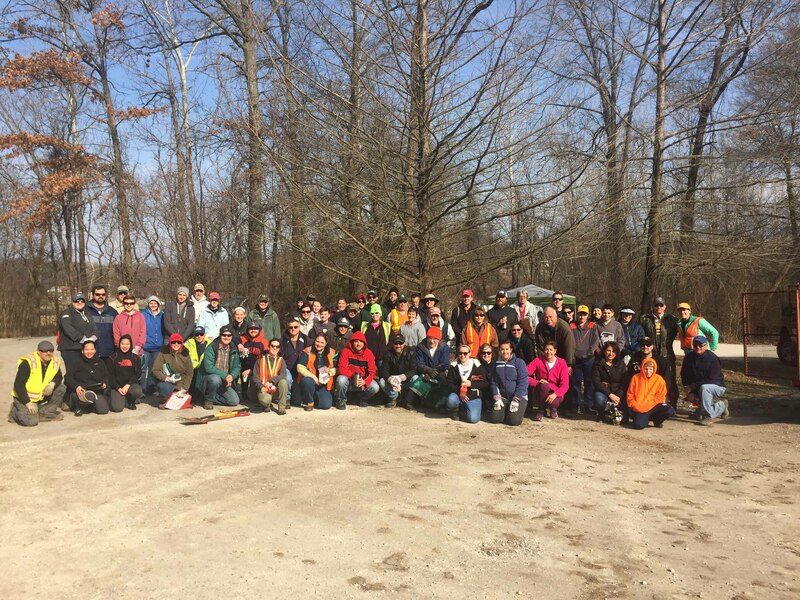 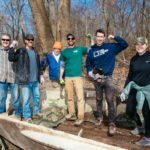 Thanks to everyone who joined us for the kickoff of Operation Clean Stream 2018 with a special winter clean up on Saturday, March 10th! 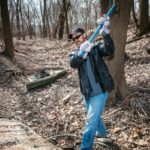 We had 88 volunteers participate in the event at Lower Meramec Park. 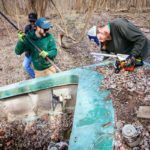 Volunteers removed 5 tons of scrap metal, 50 cubic yards of trash and 100 tires from the park and the riverbank. 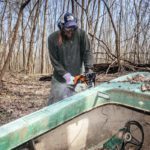 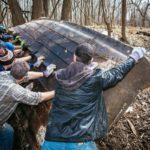 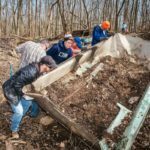 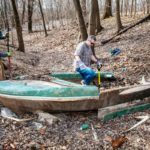 Volunteers also tackled the removal of a washed up boat – see photos of the boat below taken by our partner Great Rivers Greenway. 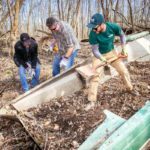 Thanks to our partners who sponsored this cleanup in part: Great Rivers Greenway, The Metropolitan Sewer District, Missouri River Relief, The Robert J. Trulaske Jr. Family Foundation, and St. Louis County Parks. 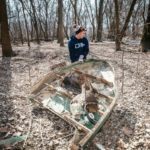 Paddle for a Cause: Tickets on Sale Now!